Sherman was right: war is hell. 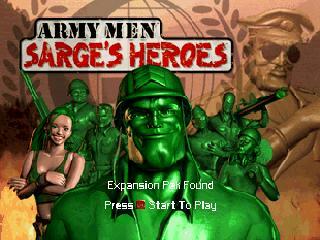 Just ask the green plastic toy soldiers in Army Men Sarge's Heroes. 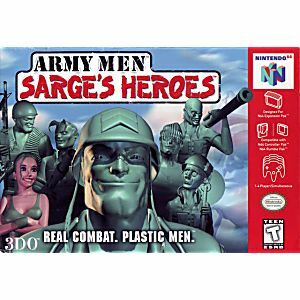 In this version of the popular game series, players lead Sarge through 15 missions filled with dangerous objectives, ultimately attempting to thwart General Plastero's ghastly plans with his newly acquired weapons of mass destruction. 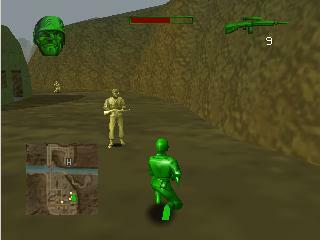 As Sarge, you must rescue your trusted commandos from the clutches of the evil General Plastero. Good luck, soldier! Of the three games I purchased at the same time this is the only one that worked. This game works perfect! Only problem is that there isn't a save feature unless you have a controller pak, I'm definitely getting it from Lukie! The game came in really great condition, thanks LUkie!!! The game is really fun to play and best part of all it sends you a code every time you pass a stage , so you do not necessarily need to have a memory card. Love this company, they are so great! The games are in excellent condition & I am thrilled to be their customer ~ Very Happy ~ Great Games! I bought this game just for the nostalgic effect. Otherwise the game is a tad awful. The kids love this game. 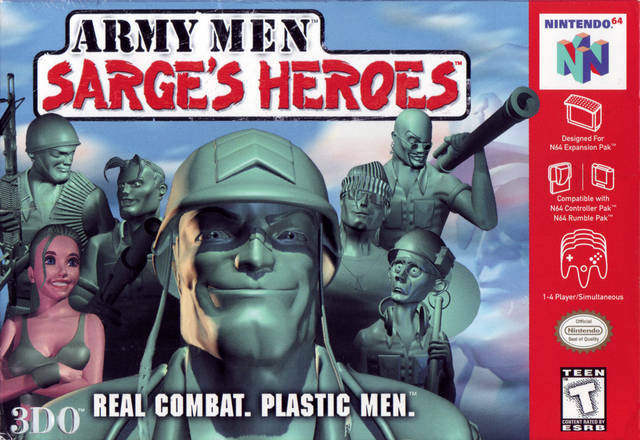 My boys have always loved their army men. With this game its like they've came to life. very awsome!!!!!!!!!!!!!!! !ever since i was like 9-10 years old this game would always be in my head and it will always be there!!! awsome!!! !